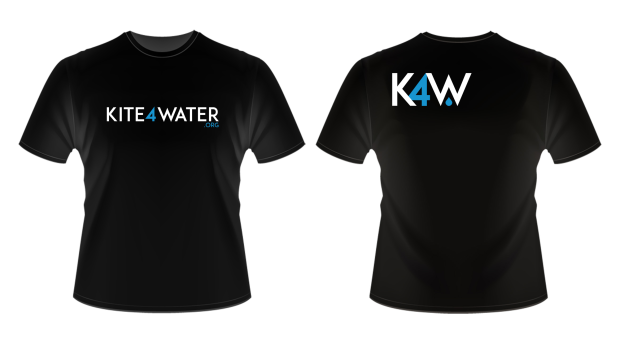 The Kite 4 Water team is taking the first step for the kiteboarding industry to bring clean water access to people all around the world. Our first goal is to get clean water access to 1,000,000 people and rally the entire industry to take advanced portable water filtration systems when traveling. Co-Founders of Kite4Water.org, Scott Gordon and Jeff Kafka, have traveled the world surfing and kiteboarding their entire lives, and now want to use those skills and network of locals in each region of the world to raise money and awareness to bring millions of people clean water. Other NGOs have distributed clean water for 8,000,000 people and counting. We were inspired by Sawyer filters and the organizations they work with. These are small teams of amazing individuals bringing millions of people around the world access to clean water in only a few short years. We are one of the first groups to replicate what they have started, and we will not be the last. As we begin our work in Central America this winter, we will make powerful video documentaries that will inspire thousands of traveling kiteboarders and surfers to join the cause. Every location we travel to, we will also be meeting with kiteboarding and surfing schools to help us promote this amazing cause and expand our network, making it easier for travelers to distribute the clean water systems. 1 water filtration system is only $50, and brings 100 people clean water everyday for FIVE YEARS or more. That’s 50 cents to bring 1 person clean water for 5 years+. These advanced filters have a removal rate of 99.99999% for bacteria which cause Cholera, Botulism,Typhoid, Ameobic Dysentery, E. Coli, Coliform Bacteia, Streptococus, Salmonella, and much more. Children and elderly are the most susceptible to these illnesses. 760,000 children under the age of 5 died last year due to Diarrheal infections, and almost all of them could have been prevented. This is senseless death. Millions of people travel the globe for pleasure, and they could be helping to provide clean water access to communities in need (from the WHO website). They best way to help our project is to donate a filter or ten! For every filter donated, you are brining 100 people clean water for five years+. We will E-mail you a certificate immediately upon your donation (before the fundraiser ends). You can donate in someone else’s name if you want to give this as a gift for the holidays! Every single donation makes a difference, for every 50 cents, 1 person will receive clean water for 5 years+. Proceeds go to purchase filtration systems and support our upcoming trips. Help us spread this amazing cause, wear your T-shirt or sweatshirt with pride. Through our kiteboarding trips, we are able to spread the love and inspire others to contribute to the communities that they are visiting. On each trip, individuals bring and help distribute water filters. The goal is to take as many water filtration systems as possible to the remote areas of the world. Never before in history has someone sold kiteboarding camps & lessons to raise money for water filters. We don’t only want to take these trips, we want to inspire others in the industry to do the same. If we don’t reach our goal, it just means we don’t take as many filters on each trip. We are going on these trips no matter what! We will use kiteboarding lesson in the San Francisco area to raise money and also awareness to this great cause. Through our kiteboarding schools we will offer DISCOUNTED lessons AND donate a filter for every lesson sold. Early bird specials will be limited so get yours today before they run out! Not only are we going to take filtration systems on every trip, we are also going to make a documentary of the trip and film everything from delivering the filters, surfing, and kiteboarding. The idea is inspire people to travel with purpose, and change their mindset about how they travel. You don’t have to drop everything and join the peace corps, do what you love and help along the way. This is people helping people. Waves for Water started this initiative with the water filters, but only work within the surf industry. We are going to take the kiteboarding industry by storm, and show people how they CAN make a difference! Imagine if we inspire 1000 kiteboarders/surfers to take only 5 water filters to Central America (or anywhere in the world for that matter) in 2016. That is clean water for 500,000 people! This is a tangible goal. Another long-term goal is to network Kiteboarding schools and leaders in the industry all over the world to join this powerful initiative. Our biggest challenge is to find leaders in each community, and empower them to educate their community and help distribute the filters to those that need them most. The goal is to enter and exit communities mindfully, respect their culture, and help where it is needed. We want to listen to the people in each community, not push something that people don’t want or need. If you can’t financially help our cause, then at least share it with someone who might be able to. You might be one click away from educating someone close to you or saving someone’s life if they decide to support our cause. This is as simple as it gets. There is no more digging wells if there is a water source, no constructing sand filters and no more chemicals to purify water. People are able to construct and adapt their filter in literally minutes to any buckets you can find almost anywhere in the world. At 0.1 micron absolute, it is impossible for any bacteria, protozoa or cysts to pass through the filter. The technology was derived from kidney dialysis, Sawyer worked with a fiber manufacturer to actually adapt the hollow fiber membrane technology for water filtration. In order to improve both the filtration rates and longevity of the filter, they needed something even more precise and durable. The fiber composition had to deliver exactly 0.1 micron filtration 100% of the time to ensure no bacteria would get through, and the membranes had to be sturdy enough to withstandbackwashing which allows the filter to be cleaning and reused. This is how these filtration systems last for 5 years+. When the filter starts to slow down, you simply back wash it with clean water using the syringe provided in the kit OR a plastic bottle. Since the filters can repeatedly be back-washed and re-used, they have an extremely long life. The ease of operating this system makes it self-sustainable and dependable. These filters and purifiers are so efficient and accessible that people will not only use the water for drinking, but also for cleaning, bathing, cooking, watering plants and more. The bucket system is a perfect tool for aid in natural disasters. This system would eliminate the need to ship bottled water, and will last long after disaster relief has run out.